Usually everyone of us has leftovers after dinner or lunch. So what do you do with them? I use them rather creatively, rather than throwing them away. 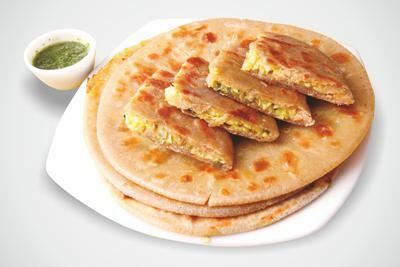 As we live in India, we are very fond of stuffed breads. So anything that is a leftover from previous night, we mix it with dough & add some spices, salt & chillies & bake stuffed breads out of them. These stuffed breads are loved by everyone in the family, especially the kids. And we know that we have added vegetables to them, so it is absolutely guilt free to eat! This is a great suggestion! I've been getting more into Indian food lately, and no matter what I make this sounds like a great idea. Of course, it depends on if my family ever actually HAS leftovers, but a girl can dream, right? That seems a good idea. Thanks for sharing. That's creative recycling at its best, Ritesh! Thanks for sharing a great idea.